This is the only primary school in the Yukon. The school motto is "Respect, Responsibility and Reaching for Our Best". Students and staff are encouraged and expected to treat each other with respect and to reach for their best. The school has a balanced curriculum which includes academics, arts, physical education and personal development. Students are supported in their learning through Reading Recovery, Learning Assistance and a variety of paraprofessionals. Community arts programs have a high level of involvement within the school and the school has a quality daily physical education program. Within the school community they place a strong emphasis on positive problem solving, friendships, always treating each other with respect, and building self-esteem. This is a K to Grade 3 school with a total of 65 students. 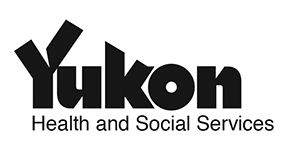 For more information about this school visit gmp.yukonschools.ca. The school provides breakfast and lunch to any child that is hungry and a morning snack to all of the students. “For the past few years I have been supervising the use of our YFFL funding and have had much to be grateful for. The funding in our school is used to purchase simple and nutritious foods to supplement meals sent from homes. Often children arrive at school hungry, either because there has been insufficient time for their breakfast at home, or because the food supplied there was inadequate. Children are guaranteed to find oatmeal, cheese, hard-boiled eggs, and/or fruit at school, setting a better tone for their day at school; happier outlooks and improved readiness to learn. At lunch we offer rice bowls, macaroni, or instant soup, cheese, crackers, fruit, and sometimes meat. Students who have brought their own lunches are able to supplement healthy snacks from our stores to boost their lunches or to replace ‘sometimes’ foods they have brought. Also in the past, the school has received additional funding from the Grey Mountain School Council.